Cover glory: It may have been an omen, or simply serendipity, but whatever it was certainly happened at a good time. 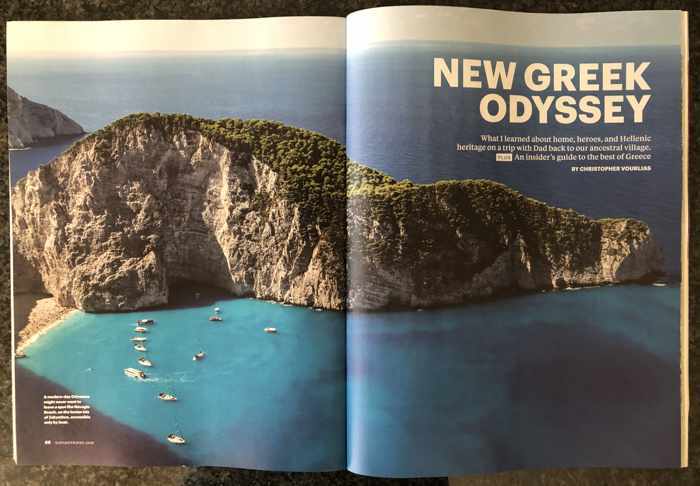 When I popped into a local newsstand the other day to browse reading material for our upcoming flight to Greece, a photo of a beautiful Greek island beach instantly caught my eye. 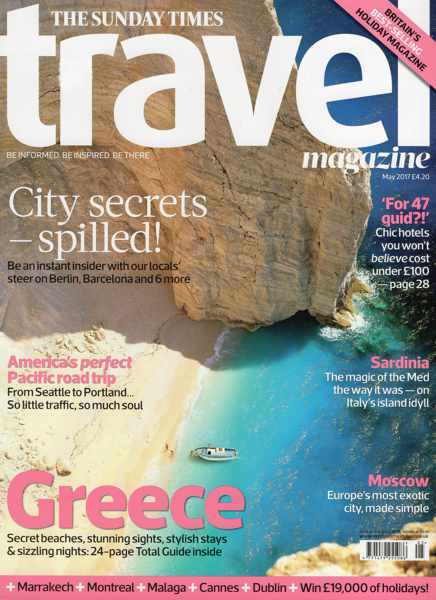 At first glance I thought it was a picture of Zakynthos island’s world-famous Navagio beach (also known as Shipwreck Beach) that graces the cover of the May 2017 edition of The Sunday Times Travel Magazine. But after taking a closer look once I got home, I realized it’s a different beach altogether. Surprisingly, the magazine’s editorial page doesn’t identify the location — the photo states only that the image was photographed by Giovanni Simeone of SIME/4 Corners. But after a few minutes of Google searching, I discovered that the picture captures a small cove a short distance down the coast from Navagio. With that little mystery solved, I took a quick peek through the magazine’s cover feature — a 24-page “Total Guide” to Greece. “Whether you’re after a jam-packed family trip, an indulgent break with friends, or a romantic laze on a step-back-in-time island, we’ve got your Greece right here,” the guide’s introduction pledges. And it certainly seems to fulfill its promises. ♦ Our favourite white sand beaches (Navagio ranks #2 on the list, right after Crete’s Balos beach, which I profiled in two blog posts last year: Escape to Crete’s exotic Balos beaches and lagoons, and Escape to Balos Part 2). The guide provides plenty of additional information and helpful advice, and is packed with photos of beautiful and inspiring sights and scenes. See if you can pick up a copy at your local news outlet. Sorry, but you can’t borrow mine — I’m not letting it out of my hands! 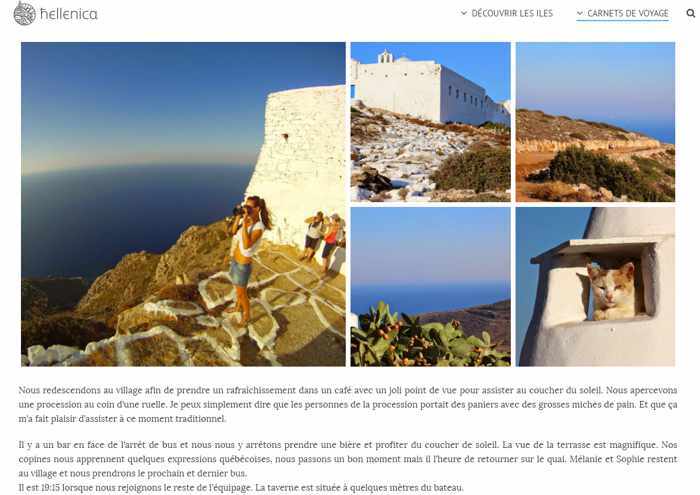 Guide de voyage: Travellers who read and speak French can now research, plan and book their holidays to Greece and the Greek Islands through a comprehensive French-language travel website, Hellenica. 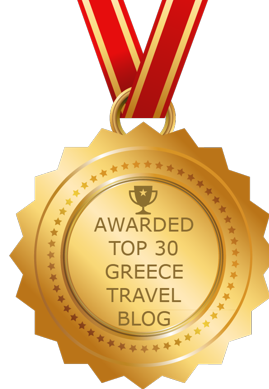 Created by the husband and wife team of Guillaume, who is French, and Eleanna, who is Greek, Hellenica.fr provides detailed and personally verified information, all in French, to help readers easily plan their own trips to Greece. 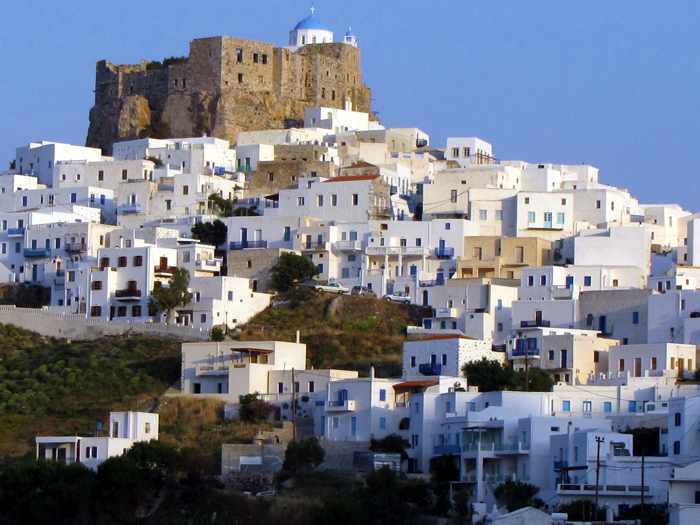 The website includes descriptions of Crete and the six chains of Greek islands, and has search engines that website visitors can use to book ferry tickets, flights and accommodations. There’s also a section of trip reports illustrated with dozens of beautiful photos. 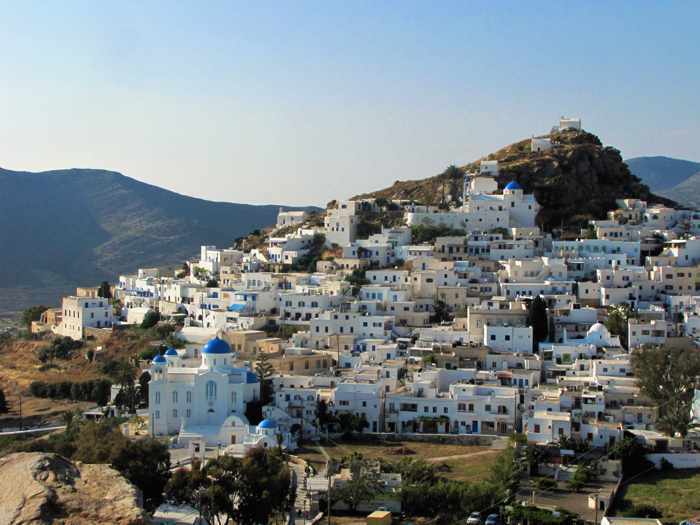 Guillaume and Eleanna developed the website to share their tremendous passion for Greece, and specifically to pass along information about their personal discoveries and favourite places. Guillaume told me he’s been in love with Greece since his youth, when his parents took him to Matala, Crete during the 1970s; he says he has been visiting the country every year since. When he and Eleanna realized a complete Greece travel guide wasn’t available in French, they decided to launch their own. 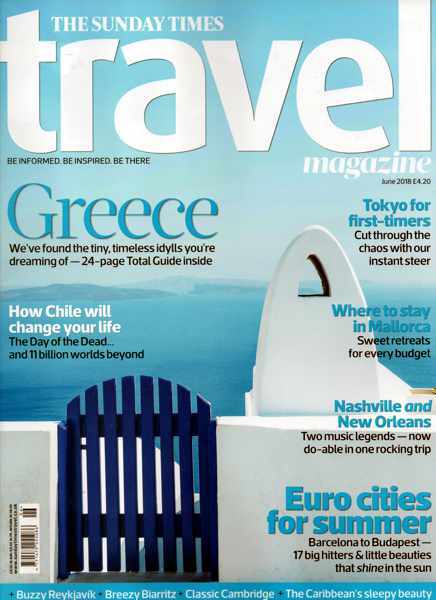 Though Hellenica is packed with helpful information, readers who can’t find answers to their specific Greece travel questions are invited to ask Guillaume and Eleanna for assistance, either by email or through Hellenica’s Twitter feed. Responses are promised within 48 hours. Click here to visit the Hellenica website.